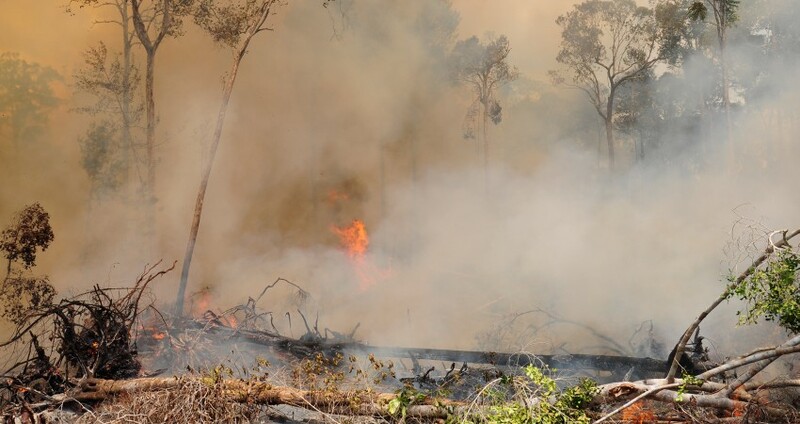 Amsterdam, Jakarta, October 2, 2015 – Most forest and peat fires in Indonesia take place at oil palm plantations. This according to research from WALHI, the Indonesian sister organization for Environment Protection. The company Wilmar International with its 27 subsidiaries and suppliers, is top on the list of palm oil companies with the most fires on its premises. Wilmar is funded with Dutch currency by the Rabobank, ABN Amro, ING and pension funders ABP and PFZW. The forest fires in Indonesia, which even cause suffocating air pollution in Singapore and Malaysia, cause so much smog that thousands of people already have serious health issues and even death victims have fallen. The NGO Environment Protection organization has been running a campaign against Wilmar because of their involvement in the deforestation and robbery of land. In 2013 Wilmar promised to immediately stop deforesting and the exploitation of peatlands. The study of Wahli and recent field studies of Friends of the Earth shows, that these promises are not fulfilled. Since 2011 the Rabobank has outstanding loans by Wilmar up to 203 million euro’s. Also the Dutch pension funds ABP and PFZW have financial ties with Wilmar. All these funders have the policy to invest exclusively in companies that meet certain sustainability requirements. The reality is less rosy. Anouk van Baalen, policy advisor at the Environmental Protection organization has just returned from Indonesia: ‘the past few weeks I have seen, smelled and felt how disastrous these fires are for the health of human beings. The smell of campfire will never be the same again’. The fires spread to the surrounding tropical rainforests, with very serious consequences for biodiversity and climate. Banks and pension funds can no longer close their eyes for their involvement in this disaster for people and the environment. For the past 18 years there are forest and peat fires yearly in Indonesia. Meanwhile, there are about 57 million hectares of forest and land managed by companies. The monopoly of companies is linked with poor management resulting in burning large pieces of land on a daily basis. This year the fires are more extreme because of the long drought. As it seems, the El Niño incident works as an easy aliby for the ever ongoing forest-fires; providing a cheap excuse for the offenders.